Edinburgh Zoo is currently lit by an installation of over 450 dazzling giant lanterns. 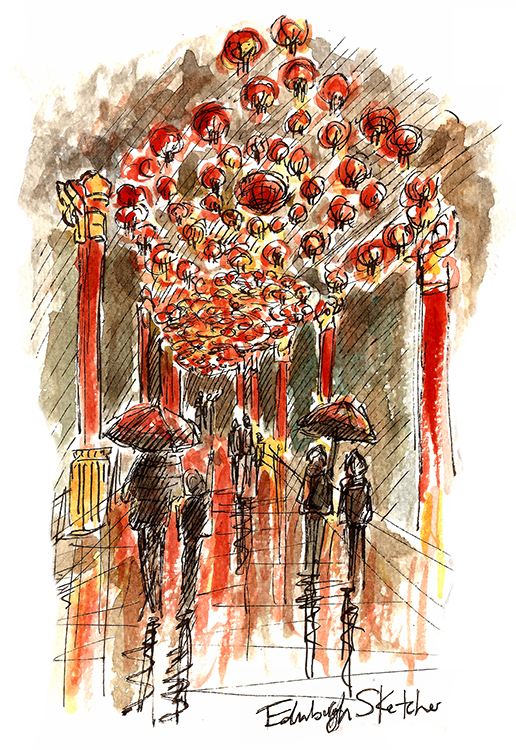 Each night during the winter Edinburgh Zoo has been transforming from a world class animal attraction destination into a world of light and wonder as the Giant Lanterns of China illuminate a mile long trail of life size animal lanterns and performing artists. 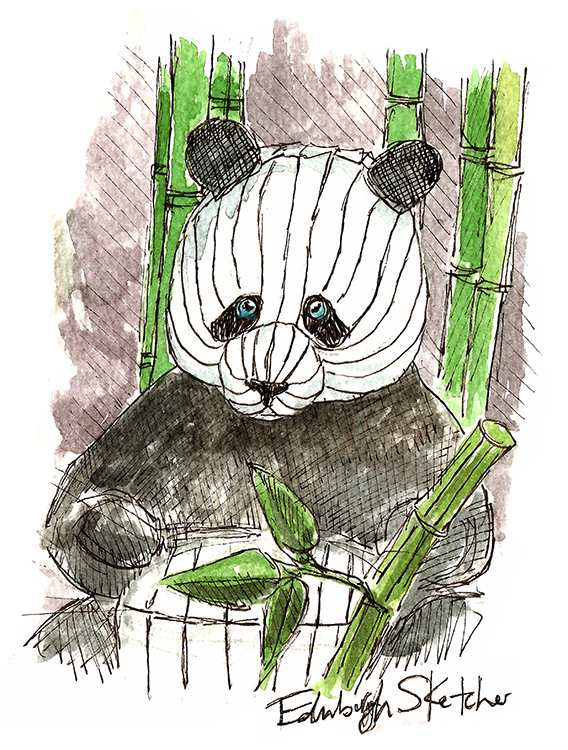 As the animals are tucked up inside visitors walk around the circular route seeing some fantastic creations including those I have sketched above. On our night the rain fell but that made for some fantastic reflections on a cold January night. There are food outlets along the route offering warming snacks and drinks, we all enjoyed some yummy hot chocolate as we walked around. 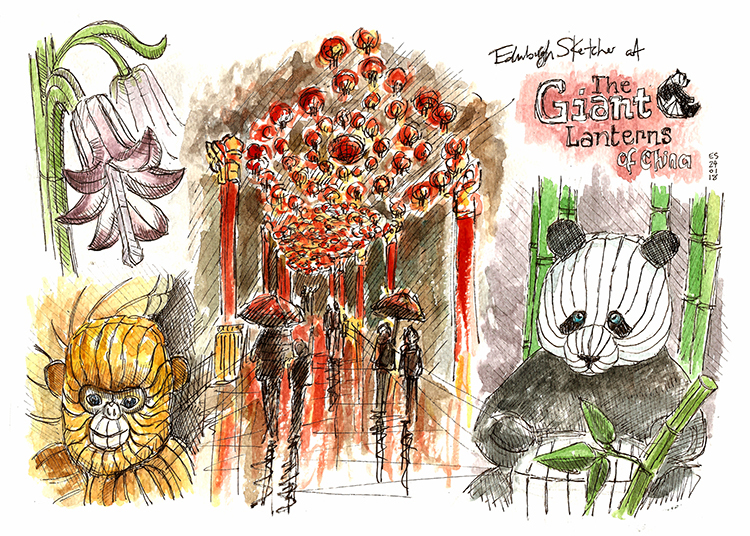 The Sketcher twins were amazed by all the lanterns, it felt like we were in the show, surrounded by colour. The craft that has gone into creating these beautiful structures was inspiring and I reccomend you see this wonderful show before it ends on the 25th February. Because of the rain (and the frozen fingers! ), I took photographs on the night and then created the montage sketch at home, with ink and watercolour paint.